In the 80s, Ottavio Missoni bought a set of boards with the Chinese horoscope signs, featuring the unmistakable touch of eclectic artist, Piero Zuffi. These zoomorphic figures, with almost mythological masks are framed like paintings. Alongside are ideograms, designed with a delicate geometric precision and in bas-relief. These symbols from the mysterious East have a scenographic energy that transfers to the choreography of the collection. The 12 characters from the original artwork (ox, dog, goat, horse, dragon, rooster, rabbit, pig, monkey, snake, tiger and rat) inspired by the lunar calendar, are reproduced with skilful mastery on tactile fabrics; precious tonal and texture effects with lustre and opacity, shades of different intensities and elaborate embroidery. Printed cotton satin, velvet panels and dense multicolour embroideries feature and large silk “toppers”, like a scarf, decorate the sofas. The theatrical nature of the figurative characters give spirit to the colourful cushions, this is accentuated as the reverse is in tones of variegated grey. The symbolic figures intertwine with the elusive maze of ideograms. The chiaroscuro is in Yin and Yang balance. The vibrancy of almost silvery tones on the fabric, like a historiated bas-relief, confer a lightness to all complements. The large modular sofa (Tektonik), formed of elements with a rounded geometry, can be dispersed like islands. The grey emphasises the elegance of the dining chairs (Miss); the slim legs wrapped in satin with an animated backrest, like a shield printed in silk. So many interpretations all of them desirable. For collectors, the figurative cushions, in printed satin (Oroscopo) or embroidered (Oroscopo Ricamato) are a true temptation. The chiaroscuro profile evolves in the tufted rug gently engraved in delicate hues of grey (Ideogramma Tappeto). All the zodiac panels are also featured on the top of a rectangular wooden coffee table. 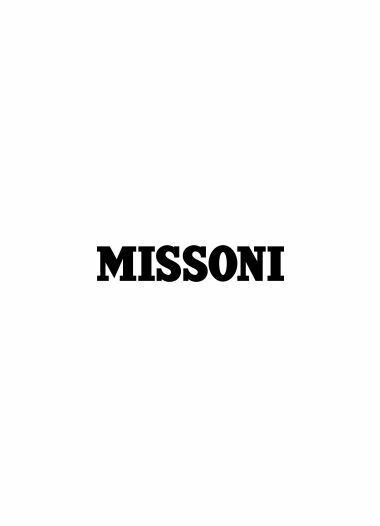 This pictorial collection, Horoscope MissoniHome, for its unparalleled character and timeless qualities will be ongoing. It is produced and distributed by T&J Vestor. Notes on the author of these Chinese horoscope tables. Piero Zuffi studied painting in Latin America from 1935 to 1941. After he settled in Paris from 1948 to 1951 before moving to Milan in 1952, where he worked for Giorgio Strehler’s Piccolo Teatro. In 1954 he started collaborating with La Scala, designing sets and costumes for Alceste by Gluck (director Carlo Maria Giulini, starring Maria Callas), where he remained for about a decade. Piero Zuffi debuted his short film career in a movie by Roberto Rossellini (Il Generale Della Rovere). He curated a few screenplays, among them are La Notte by Michelangelo Antonioni and an act of the famous Boccaccio ‘70, directed by Federico Fellini. He also worked with Mario Camerini. Years after his latest screenplay, he produced and directed his own film, Colpo Rovente(1970), in collaboration with Ennio Flaiano and the extraordinary participation of Carmelo Bene. He conceived and directed the opening ceremony of the 1990 Soccer World Cup. He taught at Academy of Fine Arts in Bari.